Rahul Gandhi on Monday announced a Minimum Income Guarantee scheme called NYAY under which 5 crore families in the country will get financial assistance of Rs 72,000 per annum if his party comes to power. 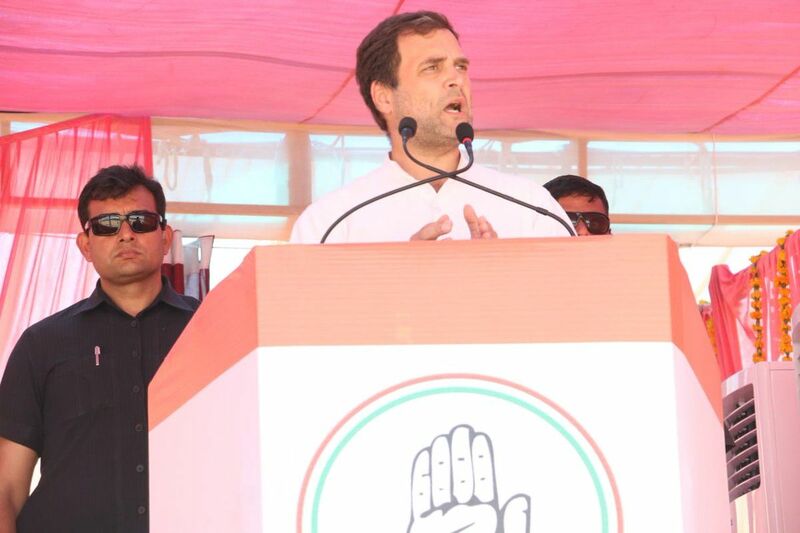 Congress President Rahul Gandhi on Tuesday slammed the ruling BJP government for criticising his minimum financial assistance scheme ‘NYAY’ announced for five crore poor families of India. 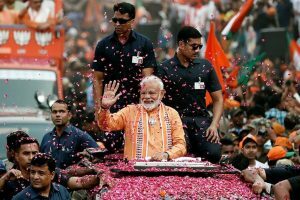 Addressing the Jan Sankalp Rally in Rajasthan’s Suratgarh, Gandhi said in the last five years, Narendra Modi had opposed and weakened all the schemes that helped the poor, adding that the PM referred to Mahatma Gandhi National Rural Employment Gurantee Act (MNREGA) as “digging pits”. He said the PM fails to understand that these schemes lifted 14 crore people out of poverty. Taking potshots at BJP, Gandhi said the party has failed to deliver on the promises it had made to the people of the country from announcing Rs 15 Lakh to every individual, farm loan waivers to generation of over two crore jobs for the youth. “And what you saved in the house was snatched by PM Modi through demonetisation,” he added. The BJP government has pushed the people into poverty in the past five years with the first setback being delivered from Demonetisation, Rahul Gandhi said. Promising to bring about a change, the Congress president said his party came up with income scheme NYAY to support the poor. “In the 21st century, India will define a ‘Minimum Income Line’ and no one should live below this line. With this intention we came up with NYAY. If Modi government can give money to the rich, we can do it for poor,” he said. He said that if Congress comes to power, it will give away Rs 3,60,000 in five years by depositing Rs 72,000 every year into the bank accounts of 20 per cent of India’s poorest people. “We will eradicate poverty in the country. This is a ”dhamaka (blast)”. No country has done this in history. There should not be a single poor person in the country,” He said. He further said his party will open the doors of banks to small shopkeepers and small businessmen. Earlier in the day, Congress spokesperson Randeep Singh Surjewala said it is “shameful that pro-rich PM Modi (is) opposing the world’s biggest anti-poverty scheme”. Rahul Gandhi on Monday announced a Minimum Income Guarantee scheme called Nyuntam Aay Yojana (NYAY) under which 25 crore poor people (5 crore families) in the country will get financial assistance of Rs 72,000 per annum if his party is voted to power at the Centre. Rahul Gandhi said the scheme will supplement income of those earning Rs 12,000 per month. Reacting to the announcement, Finance Minister Arun Jaitley had said that the Congress sop for poor was “a bluff”, and slammed the party for its “history of not doing anything for the poor”. Jaitley said that both the Nehruvian model of economics and Indira Gandhi’s ‘garibi hatao’ slogan failed to eliminate poverty from India.